Brown bananas are the perfect excuse to bake, am I right? These muffins are super banana-y, chocolatey and moist and you’ll be enjoying one in less than 45 minutes! My recommendation is to look at these muffins as a treat. Bake them and share them with family and friends! Lightly grease the muffin pan with coconut oil. In a small bowl, melt the coconut oil in the microwave or on the stovetop. In a large bowl, mash the bananas with the baking powder. Mix in the melted coconut oil, vanilla extract and milk until combined. Stir in the coconut sugar, sea salt and flour until you no longer see any flour. 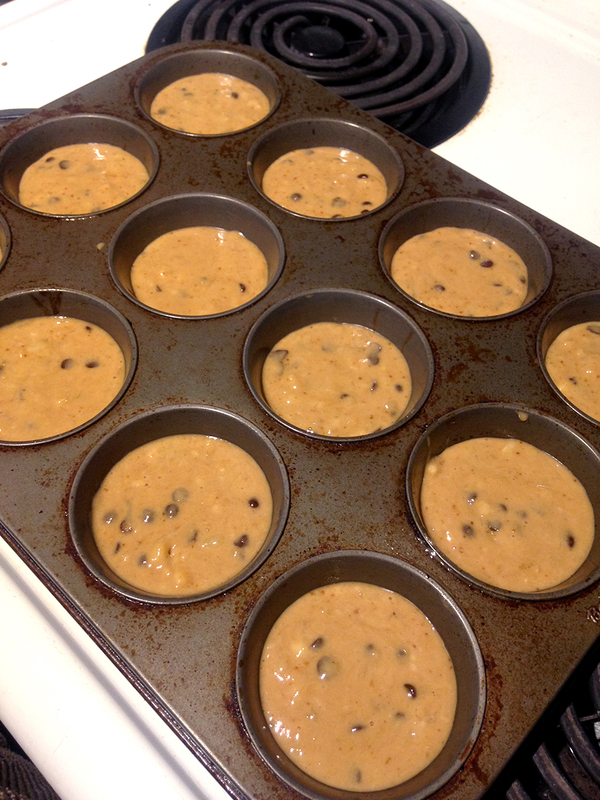 Stir in the chocolate chips and divide the batter evenly between the 12 muffin tins. Bake for 22 minutes, or until the muffins bounce back when poked with a fork.